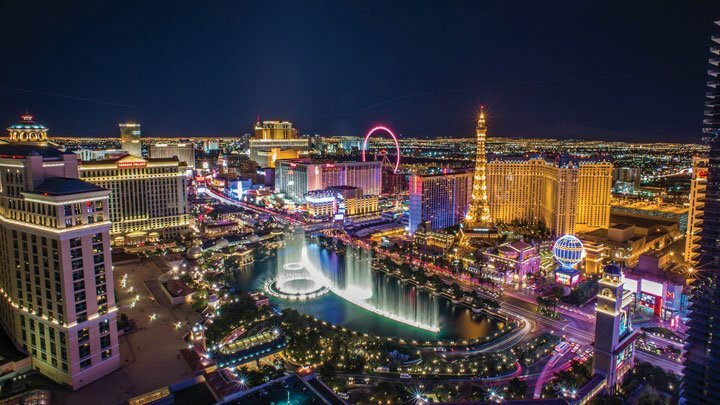 NUCA welcomes you to its 2017 Convention in Las Vegas, held in conjunction with CONEXPO-CON/AGG. Since 1964, the association has been helping CEOs, owners, presidents, senior executives, safety directors, estimators and managers run their businesses better. This year’s Convention, held March 4-6, and immediately followed by CONEXPO, March 7-11, is full of informative training and educational sessions covering some of the most important topics in construction today, as well as plenty of networking opportunities. HD Supply Waterworks is sponsoring the event’s highly engaging keynote speakers, Amelia Rose Earhart and Sergeant Matt Eversmann. During her presentation on Sunday, March 5, Earhart, named by the Jaycees as one of the “Top 10 Young Americans” who re-created and symbolically completed the 1937 solo flight of her namesake, Amelia Mary Earhart, will discuss how to find your “True North” and challenge you to discover your identity and passions, set specific goals and follow through. Sgt. Eversmann, an American hero and former U.S. Army Ranger, will recount his experience as a member of an outnumbered UN peacekeeping mission in 1993, which was the basis for the film “Black Hawk Down.” Drawing from his story and years of military service, Sgt. Eversmann will explore what it means to be a leader in the most difficult of times. Back by popular demand, Anika R. Khan, a senior economist with Wells Fargo, will present her economic perspective on how the economy is faring and what contractors can expect in the coming year. Khan has more than 15 years of experience in corporate investment banking, and her commentary is frequently cited by publications such as the Wall Street Journal and USA Today. This year’s program includes a session with FMI’s Gregg Schoppman. His presentation, Hiring and Retaining the Right People, will discuss effective recruiting strategies for the construction industry, pinpoint elements to watch for when hiring quality people and explore common mistakes that companies make when addressing employee retention. This year will also feature a presentation from Leon and Terrance Resnick, Assuring the Successful Continuation of Your Business, in which they will share techniques you can use to plan for successful business succession, wealth preservation and the eventual transition of assets. Additionally, the convention will feature a wide variety of educational breakout sessions including Hot Topics in OSHA Compliance, Trenchless Technologies from a Contractor’s Perspective, Social Media for Contractors and more. Each day of the convention includes time to visit NUCA’ s National Partners, the convention’s exclusive exhibitors, who are ready to talk with contractors about new products, services and techniques. Please see pages 14-17 for more information on these companies. Attendees are welcome to join in on numerous networking events throughout the show. With the exception of the Annual Golf Tournament on March 4, all of these opportunities are included with the price of your registration. Caterpillar is once again sponsoring this year’s team building event on March 5, Escape Room: Jewel Heist. Participants will break off into groups to solve a series of riddles, codes and brainteasers using interactive objects and items found in the room. Be sure to check out the Reception, Auction and Awards Gala sponsored by John Deere on March 6 from 6:30-10 p.m. The evening will be filled with good food, friends and lots of bidding on fabulous items donated by NUCA members. Immediately following is the After Party where you can say your final goodbyes from 10 p.m.-12 a.m.
Click here for a list of events and times. On behalf of NUCA officers and national directors, we’re thrilled to have you here, and we hope you enjoy the show! Since 1988, CNA has partnered with NUCA to provide a business insurance program that offers comprehensive risk control services, expert claim handling and property and liability insurance coverages designed specifically for utility construction professionals. Throughout the years, CNA has formed a strong relationship and works collaboratively to address the unique needs of this industry. The company is proud of its partnership and will stay committed to the insurance needs of utility and excavation contractors for many more years to come. For more than 85 years, Caterpillar Inc. has been making progress possible and driving positive and sustainable change on every continent. Caterpillar is a world-leading manufacturer of construction and mining equipment, diesel and natural gas engines and industrial gas turbines. The company also is a leading services provider through Caterpillar Financial Services, Caterpillar Remanufacturing Services, Caterpillar Logistics Services and Progress Rail Services. HD Supply Waterworks distributes a complete line of water, sewer, fire protection and storm drain products to contractors and municipalities in all aspects of public works and private construction industries. This industry-leading business provides products and technology solutions which are integral to building, repairing and maintaining water and wastewater systems. Its unique technologies provide greater ease in driving operational efficiencies and assist in reducing your costs of doing business. HD Supply Waterworks also offers some of these tools at no cost to assist with bidding, ordering, tracking, invoicing, bill paying and much more. HD Supply Waterworks’ diverse portfolio, expansive product offering and experienced team provide what you need, where you need it and when you need it. John Deere is a NUCA charter member and very proud of its more than 50 years of involvement with the association. Over this long history, John Deere has taken great pride in working closely with members in helping champion legislative issues of strategic importance to contractors and designing machines and services to meet the demanding applications of the industry. John Deere’s successful and storied history has made it an American icon and world-renowned brand. Its integrity, quality, commitment and innovation continues to be broadly recognized by the media and public. Komatsu America Corp. is a U.S. subsidiary of Komatsu Ltd., the world’s second largest manufacturer and supplier of construction, mining and compact construction equipment. Through its distributor network, Komatsu offers state-of-the-art parts and service programs to support its equipment. Komatsu has proudly provided high-quality, reliable products for nearly a century. National Trench Safety (NTS) is a trench and traffic safety company that specializes in providing the proper solutions for large, difficult, unique and highly engineered projects. Through its nationwide network of branch operations, NTS rents and sells a wide variety of trench safety and traffic safety equipment, including large hydraulic free span excavation braces, slide rail systems, trench boxes and ancillary products such as confined space, pipe testing equipment, customized traffic control products and lasers. NTS also has a large in-house engineering department that can provide site-specific trench or traffic safety engineering solutions for any size project. In addition to its equipment and engineering, NTS offers comprehensive bilingual OSHA-compliant training classes to ensure employees are up-to-date on the latest standards and practices in the industry. As North America’s largest supplier of specialized trench safety rental products and training, United Rentals is your single source for all your underground needs. United Rentals will help you find a customized, cost-effective rental solution for your specific excavation needs. With more than 80 trench safety stores and the largest fleet of shoring and underground excavation rental equipment in North America, it makes sure you get what you need, when you need it, on time and on budget. United Rentals is the nation’s largest provider of trench safety training programs throughout North America. Its certified trainers have real trench experience and know the local, state, provincial and federal regulatory issues that affect your jobsite. Case Construction Equipment sells and supports a full line of construction equipment around the world, including backhoe loaders, skid steers, compact track loaders, excavators, crawler dozers, motor graders, wheel loaders, vibratory compaction rollers and rough-terrain forklifts. Through Case dealers, customers have access to a true professional partner with world-class equipment and aftermarket support, industry-leading warranties and flexible financing. This includes ProCare, the industry’s most comprehensive factory-provided heavy machine coverage that comes standard on all Case heavy machines built with factory-installed Sitewatch telematics. For more than three decades, Dexter + Chaney has been delivering software and technology solutions to the construction industry. Spectrum, its cloud-enabled mobile-friendly software, helps contractors manage all aspects of business, from accounting to project and equipment management. Spectrum is easy to use and accessible anywhere, from any device. 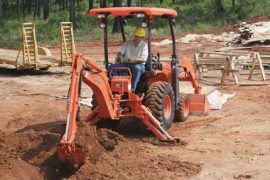 Specializing in the design, manufacture and distribution of premium underground construction equipment, the Ditch Witch organization is a one-stop source for trenchers, vibratory plows, utility locators, horizontal directional drilling systems, vacuum excavation systems and mini skid steers. As one of the nation’s largest Waterworks companies, Ferguson Waterworks offers contractors and municipalities a reliable coast-to-coast network of 200 locations and 2,000 highly-trained associates. It means on-time delivery, unmatched support and industry-leading fill rates for a wide-breadth of products across the water, sanitary sewer and storm water management industries. Krausz Industries is the creator of the game-changing HYMAX with more than one million installations in the United States. Krausz USA is the newly established division of Krausz Industries and is ready to serve the North American pipe coupling and repair marketplace. For more than 95 years, McLaughlin has been actively involved in the boring and vacuum excavation industry. During that period of time, McLaughlin has developed a reputation for designing and building dependable, low-maintenance trenchless construction equipment. As evidenced by its longevity and success, McLaughlin takes prides in providing workable solutions for contractors, OEMs and the underground industry since 1921. Wacker Neuson is a leading global manufacturer of light and compact equipment that meets the needs of the utility contractor. Its comprehensive line includes excavators, articulated and all-wheel steer wheel loaders, skid steer loaders, dumpers and a full line of light equipment from rammers, plates and rollers to generators, pumps and light towers. Benjamin Media Inc. is the managing publisher of Utility Contractor, the official magazine of NUCA, and publishes Compact Equipment, Trenchless Technology and Tunnel Business Magazine. The company offers online, print and educational opportunities for everyone involved in the utility construction marketplace. Formerly known as Bituminous Insurance, BITCO Insurance Companies continues to provide risk management solutions and services across the country — providing specialized programs in commercial construction, forest products and the oil and gas industry. The BITCO brand represents unparalleled expertise in these markets that is supported by an unwavering commitment to “personal service.” A member of the Old Republic Insurance Group, one of the 50 largest insurers in the United States, BITCO will celebrate its 100th Anniversary in 2017. BRON has been designing and manufacturing heavy equipment since 1974. BRON products are sold throughout the world and include: mulchers, static and vibratory utility plows, agricultural drainage plows, cable removal plows, vibratory rippers and wheel trenchers. Its mulchers are used for land clearing and site preparation, power lines and pipeline right of ways. BRON’s plows are used for installation of farm drainage tile, gas lines, water lines, power lines and fiber-optic cable. BuildSourced is an innovative technology company that uses the Internet of Things (IoT) and cloud-based technology to deliver industrial asset tracking and analytics. Clients in construction, equipment rental, logistics, transportation and utilities rely on BuildSourced solutions to track and manage inventories of physical assets, equipment and materials and gain increased control and maximum efficiency of their physical assets. The BuildSourced integrated online public marketplace enables members to buy, sell, rent or share their equipment and materials, creating a virtual shared economy for businesses across industries. 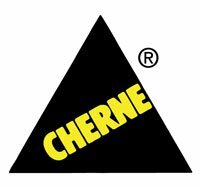 Cherne is a leading manufacturer of pipe plugs and testing equipment. The company offers plugs from ½ in. to 96 in. in diameter. It also provides a complete line of manhole testers, joint testers, deflection gauges, smoke testing products and hydrostatic test pumps. COINS offers fully integrated solutions for accounting, job cost, service management, payroll/human resources, project management, equipment, CRM, imaging/workflow, BIM, mobile and business intelligence. Designed for the unique needs of the construction industry and utility contractors, COINS solutions focus on key business issues such as process efficiency to increase margin, reduced risk and the management of projects, labor and cash. ej is a leader in the design, manufacture and distribution of access solutions for water, sewer, drainage, telecommunications and utility networks worldwide. ej offers a comprehensive portfolio of products and services, including municipal and construction castings, fabricated products, water distribution solutions and other infrastructure access solutions — including its new line of composite products. 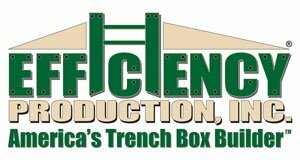 Efficiency Production Inc., “America’s Trench Box Builder,” provides a wide selection of standard and custom trench shielding and shoring systems. Efficiency’s versatile products are designed specifically for safe and cost-effective underground utility projects which yield greater profit and productivity. All products are P.E. certified to meet OSHA standards. GME is the producer of a complete line of trench shields and trench shoring equipment. The company offers a wide range of products, from a single hydraulic shore system, trench shields, slide rail systems and the MD Brace system — the only hydraulic bracing system produced in North America. Through a distribution network that spans North America, Europe and Australia, GME’s trench shoring and shielding equipment is found on numerous jobsites around the globe. Godwin, a Xylem brand, is known in the industry for its automatic self-priming pumps. Xylem maintains a rental fleet of 5,000 Godwin pumps and 3,200 pieces of related equipment for use in construction dewatering, mining and wastewater bypasses. Product lines include Godwin Dri-Prime pumps, Heidra hydraulic submersible pumps and Wet-Prime gasoline-powered pumps. HammerHead Trenchless, a Charles Machine Works Company, of Lake Mills, Wis., manufactures and delivers a unique combination of repair, rehabilitation and installation equipment and consumables for the underground construction market. Besides being a full solutions provider in repair and rehabilitation, HammerHead also offers unmatched field support and project consultation to its customers worldwide. 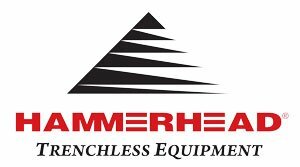 HammerHead products are proudly made in the United States and sold and serviced in more than 63 countries. 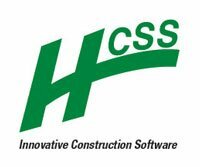 Founded in 1986, HCSS provides innovative software built specifically for the construction industry for estimating, time card entry and job costing, safety, dispatching and scheduling, equipment maintenance, fuel tracking, GPS and telematics tracking and field mobile apps. All software comes with a 12-month, money-back guarantee and the company’s legendary instant 24/7 support. Founded in 1982, Midwest Mole Inc. is a national trenchless contractor based in Greenfield, Ind. 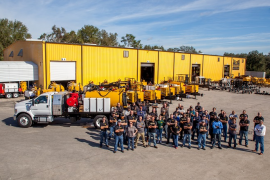 It specializes in all facets of trenchless construction, including: auger boring, conventional tunneling, sliplining, rock tunneling, pipe hammering and directional drilling. Neenah Foundry is a domestic manufacturer of high-quality castings for the utility market. It offers a complete line of utility trench frames and covers, manhole and vault frames and covers and other construction castings. The company’s innovative line includes specialized self-lifting and lift-assist manhole and trench products, which reduce the risk of injury to your workers. Recently, the company added “Swiveloc,” the explosion mitigating cover, and “Stabiloc,” the locking device to its line. Oxford Plastics manufactures innovative products to improve safety at construction sites, street works and events. The Oxford 16/12 Composite Sidewalk Cover is an alternative to steel and/or timber trench covers. Designed to provide safe passage over open trenches of maximum width of 35.4 in., it can handle the distributed weight up to 4,400 lbs. Hi Visibility slip-resistant surface with chamfered edges prevents tripping. The underside has ribbed framework for added strength. Oxford Plastics composite road plates and sidewalk covers have been in use in Europe for many years, providing a lightweight, high visibility, slip-resistant solution during construction. These products were designed and developed in partnership with utility companies, to meet their standards & requirements. Currently, the 16/12 is in wide use in New York City, Washington, D.C., Boston and other major cities throughout the United States. One of the newest Sustaining Partners for NUCA, PetroCard brings experience with fuel cards and on-site mobile fueling. With more than 30 years of experience in the petroleum industry, PetroCard is a recognized leader in fuel management. PetroCard offers the best of both cardlock (Pacific Pride & CFN) and retail (WEX & Fuelman) networks, allowing you to select one or all that best fit your needs. Vactor Mfg. produces the full-size Vactor HXX HydroExcavator and the mid-size Vactor Prodigy vacuum excavator for utility applications. Available directly from Vactor, these products are supported by factory service centers across the United States, as well as servicing dealers across North America. 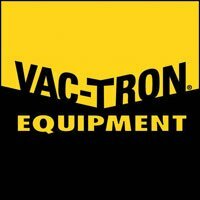 Vac-Tron Equipment LLC offers a full line of industrial vacuums, potholing, daylighting, hydro-excavation and air excavation equipment. Vac-Tron’s industrial vacuum systems come in truck-mounted, trailer-mounted or skid-mounted units. CLC Lodging, a division of FLEETCOR, reduces what you pay for workforce lodging while cutting staff time spent finding hotels, negotiating rates, auditing bills, reviewing expense reports and tracking costs. CLC’s buying power of more than 13 million room nights annually provides clients with deeply discounted hotel rates. CLC has 40 years’ experience as a leading provider of lodging management programs to businesses, serving thousands of clients in North America. Click here for more articles about NUCA.